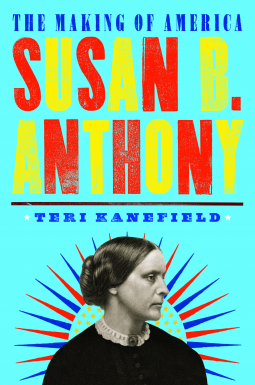 An American Influencer: Susan B. Anthony by Kanefield – Joyce's mystery and fiction book reviews with some non-fiction too! Susan B Anthony is someone who often comes to mind when considering iconic American women. Her influence has become widespread over time. Susan Anthony is the only woman featured in a series of four books on prominent Americans written by this author. This places her in company with Alexander Hamilton, Abraham Lincoln and Andrew Jackson. In my opinion, she can hold her own. The reader learns about the early influences on Susan Anthony who was an observer of all around her. As she grew up, Susan saw that the rights of women were not valued or protected. Over the course of her life, she fought for change for women as detailed in this biography. This is an excellent entry in a series that should appeal to middle grade students. Adults who read this book will also feel better informed. Thanks to NetGalley and the publisher for this fine read.